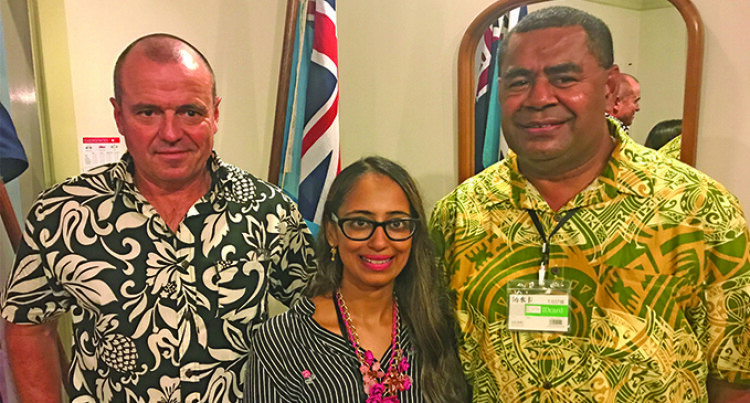 She shared her experiences study­ing at the Royal Melbourne Insti­tute of Technology during the Aus­tralia Awards Alumni networking event that was hosted by the Aus­tralian Embassy at the High Com­missioner’s residence in Tamavua on Wednesday night. Sugandha Goswami, 28, was a recipient of the Australia Awards Scholarship in 2017 and returned with a Masters in Laboratory Medicine. The two year Masters programme allowed Ms Goswami to upgrade her qualifications and she thanked the Department of Foreign Affairs and Trade, Australia for the oppor­tunity. “The opportunity enabled us alumni to specialise in different fields and helped us build our own niche,” Ms Goswami said. “Apart from studies, we built in­credible networks with other stu­dents and as a Medical student my­self I was fortunate enough to be a member of the Australian Institute of Medical Scientists. She is currently a Lecturer of His­topathology at the College of Medi­cine, Nursing and Health Sciences and aims to attain her PhD before hitting 40 years old. Meanwhile Australian High Com­missioner John Feakes said that alumni have become part of a high­ly skilled and influential network that plays an important role in na­tional development. He added it was always thrilling to meet and interact with Fijians with links to Australia through work, sports, family and education. Applications for the Australia Awards 2020 intake are open and the deadline is April 30, 2019.